Based in Toledo, the law office of Joseph P. Jordan has been providing effective legal advice and competent representation to Ohio residents since 1965. Led by founder and managing attorney Joseph P. Jordan, our general practice law firm focuses on helping our clients with complicated legal matters involving criminal defense, civil litigation, personal injury, business and commercial law, estate planning and municipal law. Lawyer Joseph P. Jordan offers more than four decades of extensive legal experience, including his work as an assistant city law director for Toledo and a chief litigator for the City Prosecutor's Office. 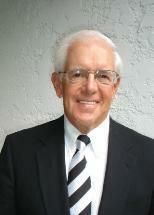 He understands his clients' legal challenges, from the consequences of a DUI conviction to the financial complications of a commercial dispute. We urge you to consult with us today to learn more about how we can help you with your case. The law office of Joseph P. Jordan is located off of Holland-Slyvania Road, between Central Avenue and Sylvania Avenue. For more information or directions to our firm, please call us at 419-318-7968.